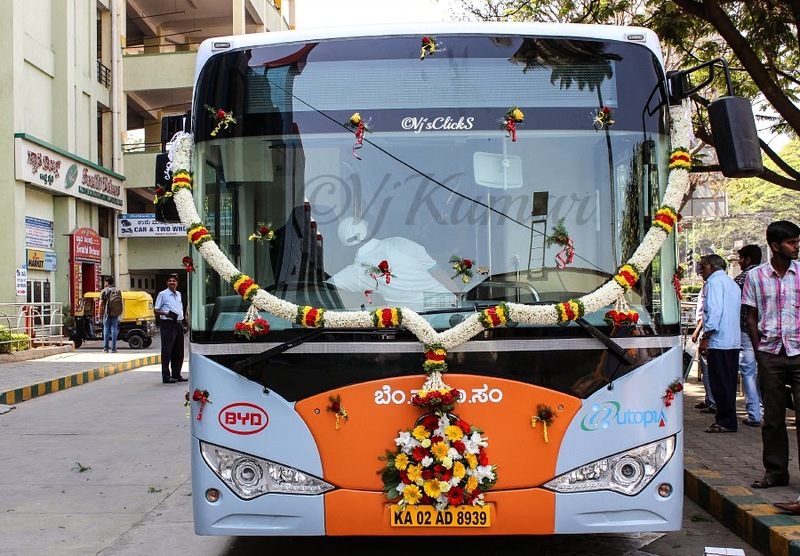 Schumi0101: BMTC does it again..!!! 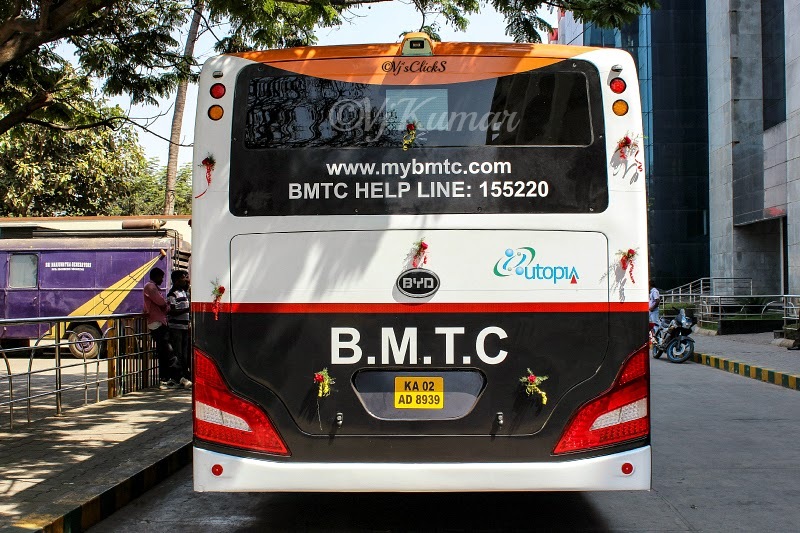 BMTC added yet another feather to its cap today. 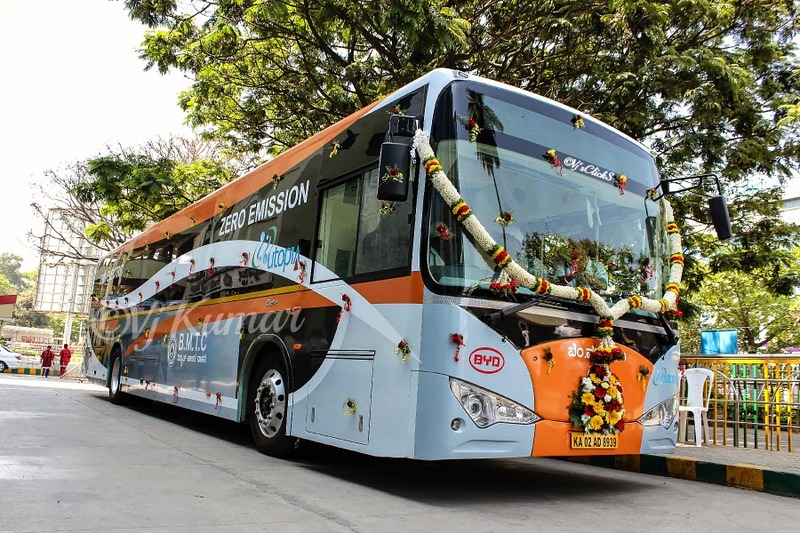 The inauguration of the country's first and the much awaited Electric bus manufactured by BYD was launched in Bangalore today. 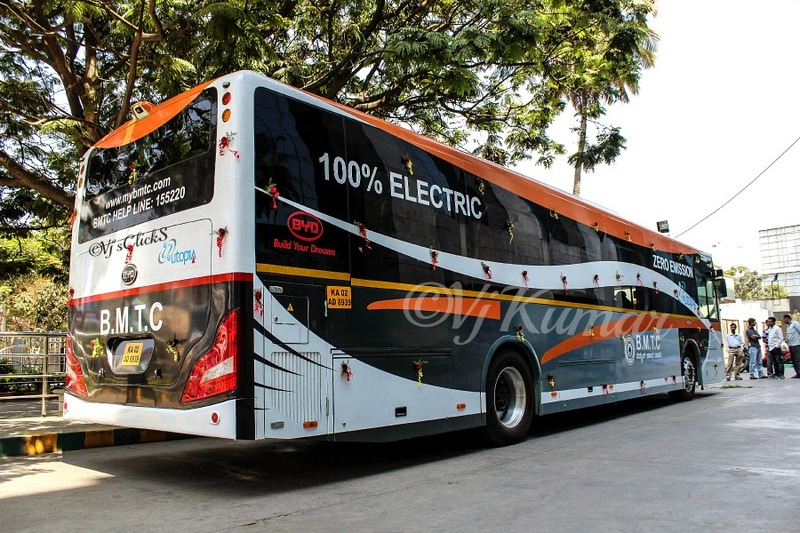 The bus which is powered by Iron-phosphate battery which is an in-house development of BYD claims no emission, no pollution from its bus and the chemical materials contained in the battery can be recycled without any toxins.The drive range of this bus is 250kms, when the batteries are completely charged.